When I learned that Kelly Rimmer had a new book coming out, I knew that I had to read it because I suspected that I would love it. And, of course, I was right. The story of Sabina is one that broke my heart. There is no way to hide that fact. Adoption has always been something that fascinates me. 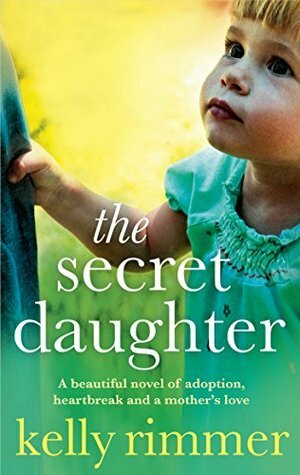 I have often wondered about the repercussions on all those involved and also the circumstances that led to the adoption taking place so this story spoke to me deeply. Written in her very personal style, this book alternated between heartache to heartwarming scenes. I could not fathom the tumult of emotions that Sabina was finding herself going through as she was newly pregnant and had recently found out she was adopted as well. One of these events would be emotional enough to deal with but the two of them together may be irrevocably devastating. The story was one that I cannot recommended highly enough and I find myself reflecting on it still, weeks later. I would not want to say too much about the detail as each scene plays its very important part in the intricately woven tale of Sabina.